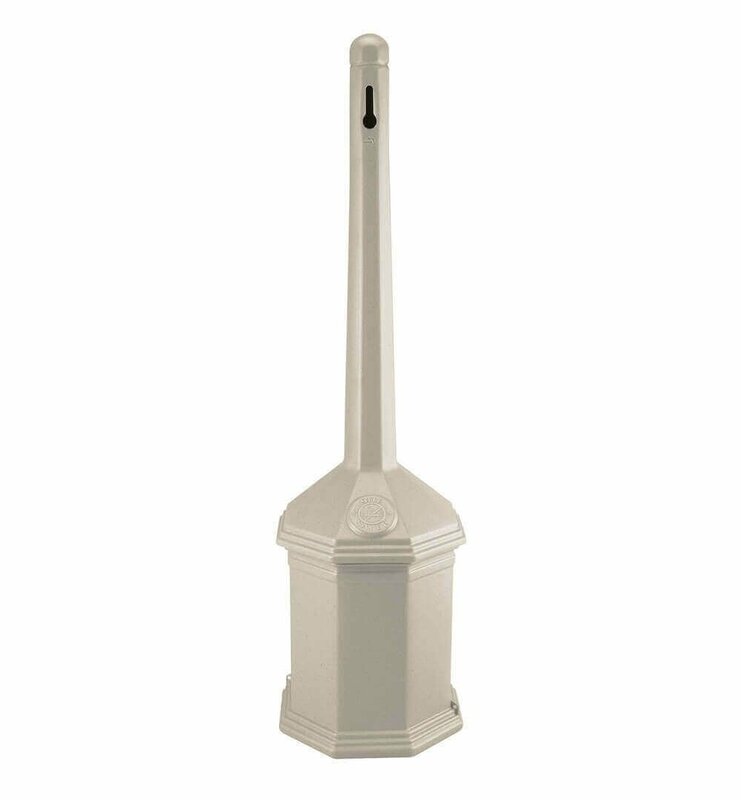 Our 42" high Smoker's Outpost commercial site saver plastic cigarette snuffer is a perfect compact fit for entryways, break areas, public gathering locations, and any smoking zone. The 12" D hexagonal shape is constructed of high-density polyethylene, that won't rust or chip. 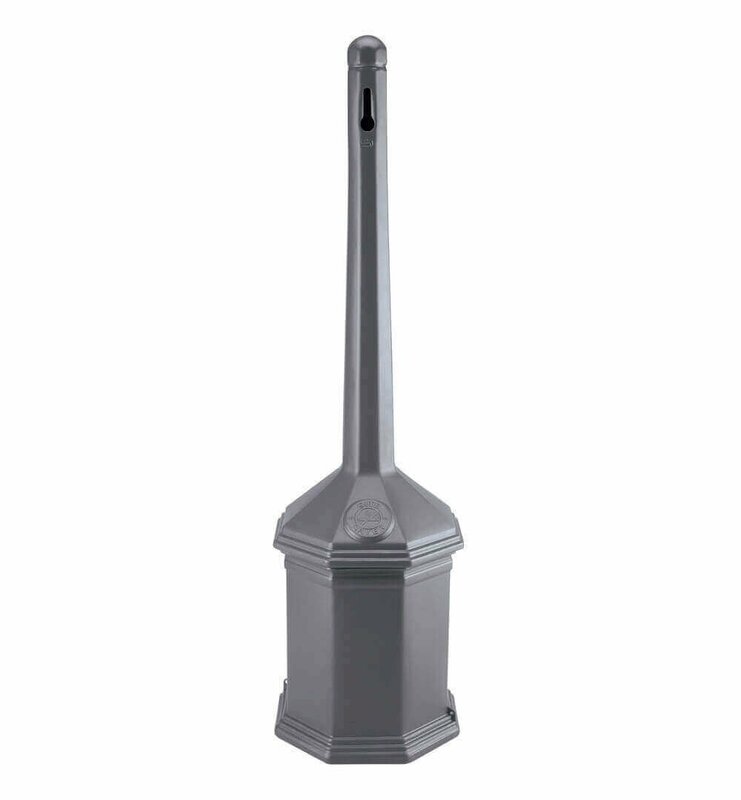 Features a unique design used to smother cigarettes quickly without the use of sand or water, catching all rubbish in a 5-quart recycled steel pail below. Key shaped entranceway prevents unwanted litter from accumulating. Standard screw closure, tie-down holes, and optional bolting hardware pack makes security simple. Easy to clean by unscrewing the top from the base and emptying out the waste from the pail. 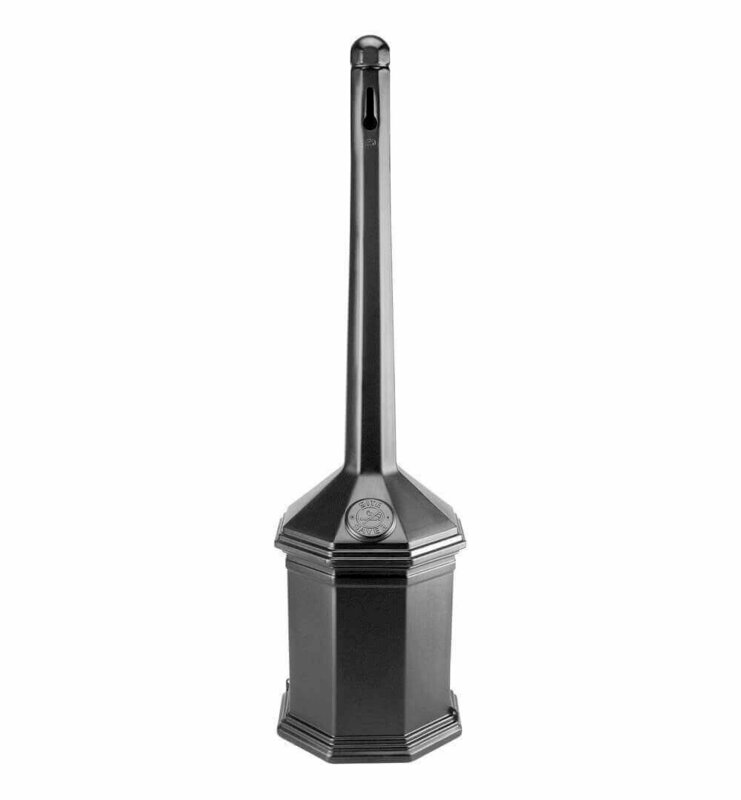 Made in the USA, this cigarette snuffer is backed by our 1-year commercial warranty. 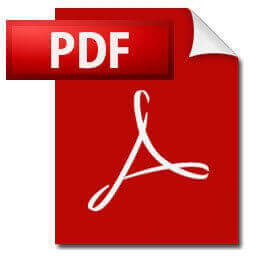 • Dimension: L 12" x W 12" x H 42"
50 Gallon Commercial Plastic Hexagonal Trash Receptacle with Dome Lid - 29 lbs.